Acer goes gaming? 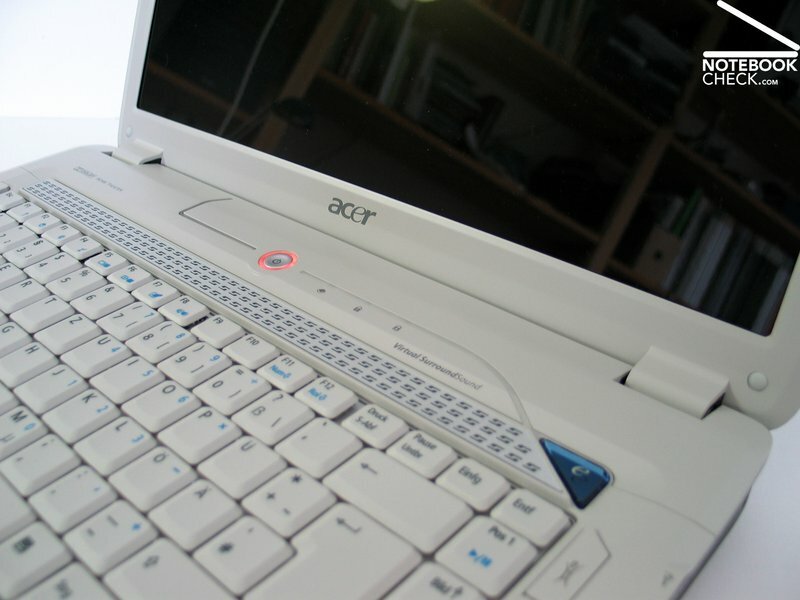 We had the chance to review one of the currently most popular and most discussed notebooks, the Acer 5920G. 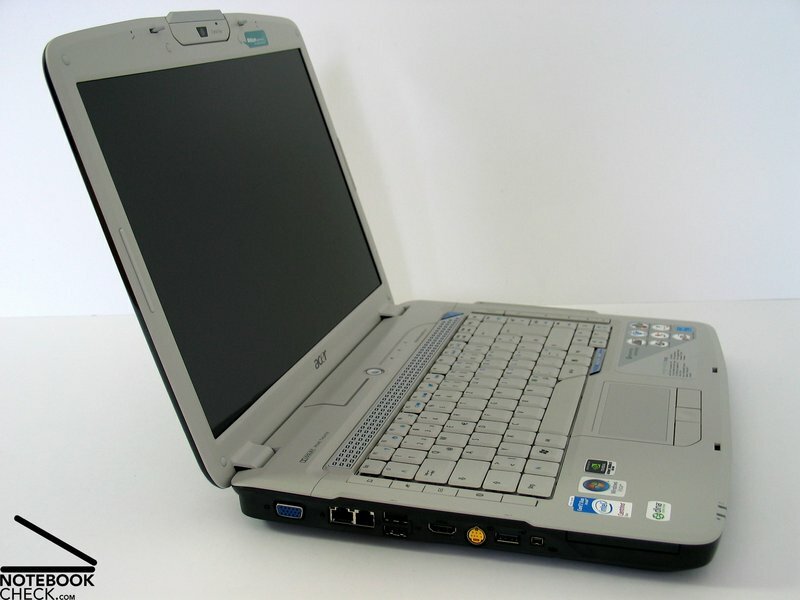 Its specification is very interesting: Core 2 Duo T7300 with 2.0 GHz, NVidia Geforce 8600M GT, 2GB main memory and 200GB hard disk. Is there anything left to be desired? Maybe a brand-new Acer case with interesting design? - Here it is! Ever since the completely new Travelmate case, which convinced particularly by its robust and compact construction, was introduced at the Cebit07 in Hannover, hope remained for a similar innovation for the Aspire series. Now time has come. 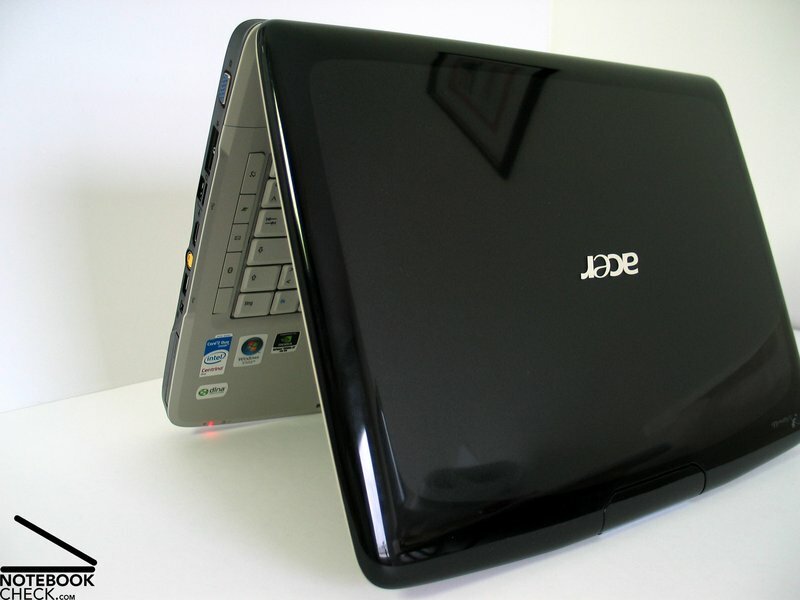 The Acer Aspire 5920G tries to score high with its brand-new design. Regarding color choice Acer chose a bright-gray - fawn inside (keyboard, palm rest areas, and display) which was combined with a black trough and a shiny black coated display cover. The notebook looks passable, and elegant. 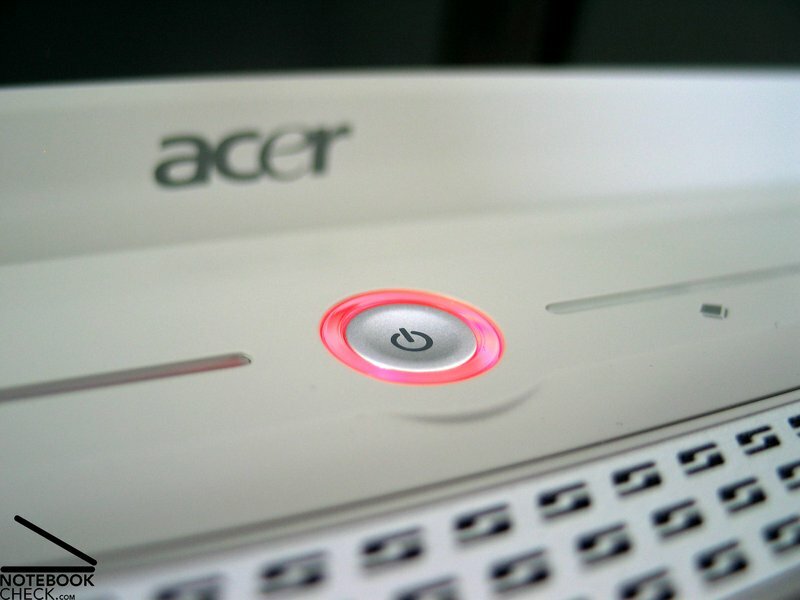 Acer pioneers new ways not only regarding color design. The total case design of the 5920G including shaping is innovative. All in all the case got thicker and got gently rounded edges. 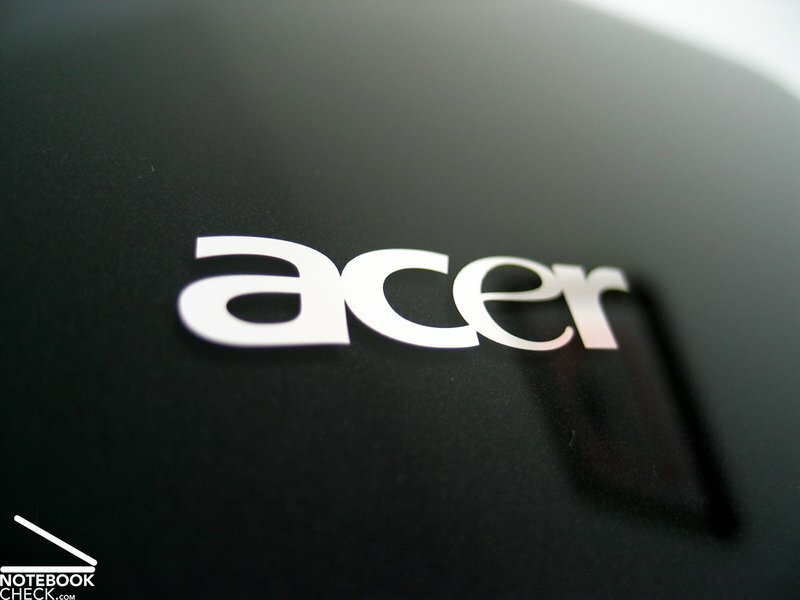 Called Gemstone design by Acer it is a matter of taste, a dilemna between innovative design and creative accents. Obviously, the design of the top side, i.e. keyboard, touchpad and surrounding parts, should be most striking. Diagonals were introduced and were continued by beveled keys and LED moldings. Whether you like it or not is just a matter of taste, because it does not have any impact on user-friendliness. An essential pro of the new case is that robustness and stability was improved. The case hardly yields under pressure and also the flexural rigidity is very good. 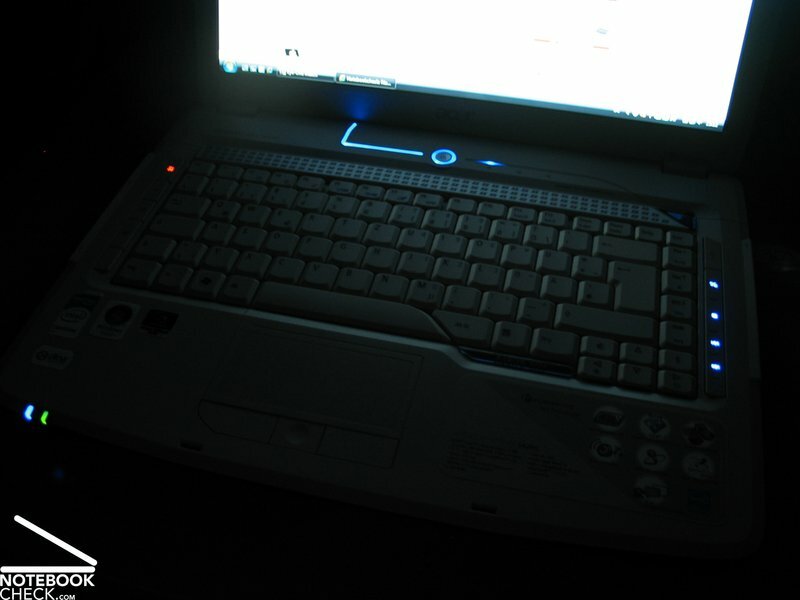 Looking for creaking noises, which were often audible at former Aspire notebooks, is in vain. The display is attached with two also very nicely designed hinges. 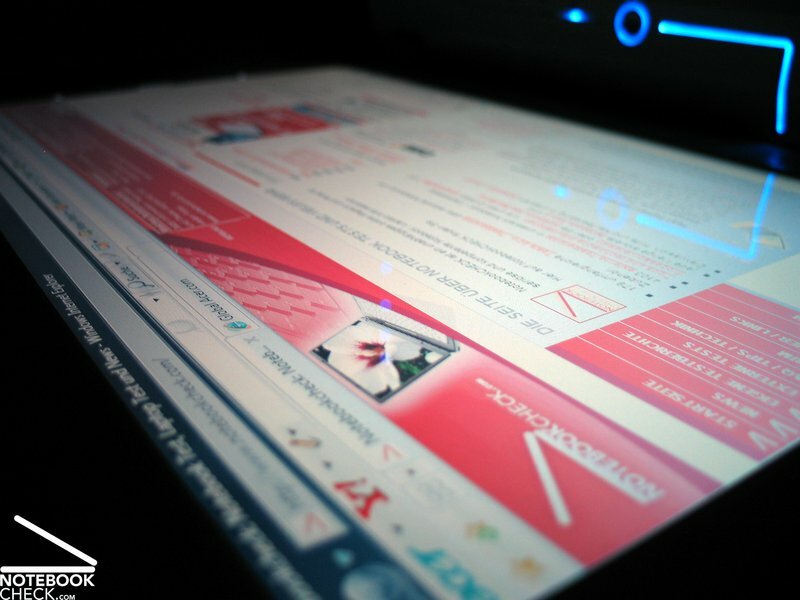 They are capable of holding the display steady, but a slight see-saw after adapting the display's position is possible. However, it is difficult to estimate the durability of the metal hinges covered by plastics. The display lock covers something interesting. 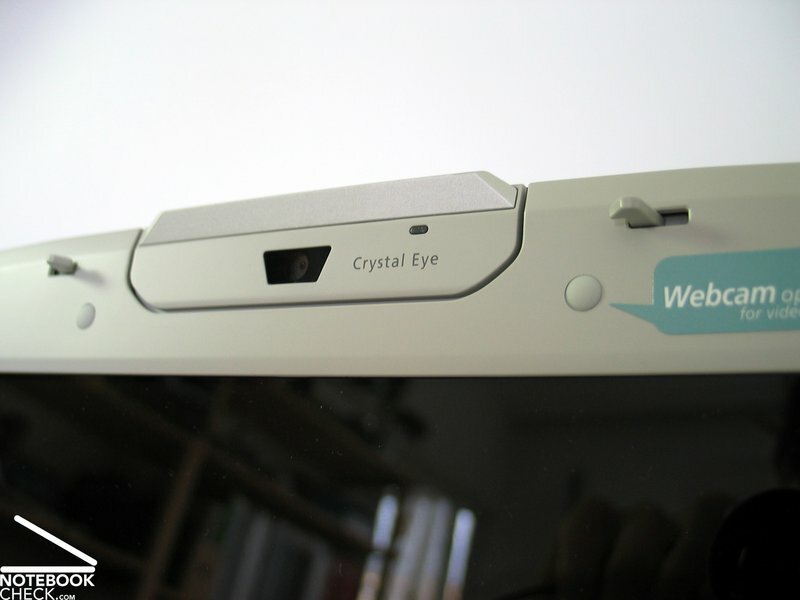 The web cam was movable placed in the center of the display frame and also works as release device for both of the display hooks. However, it is not possible to adapt the angle of inclination of the cam by itself. 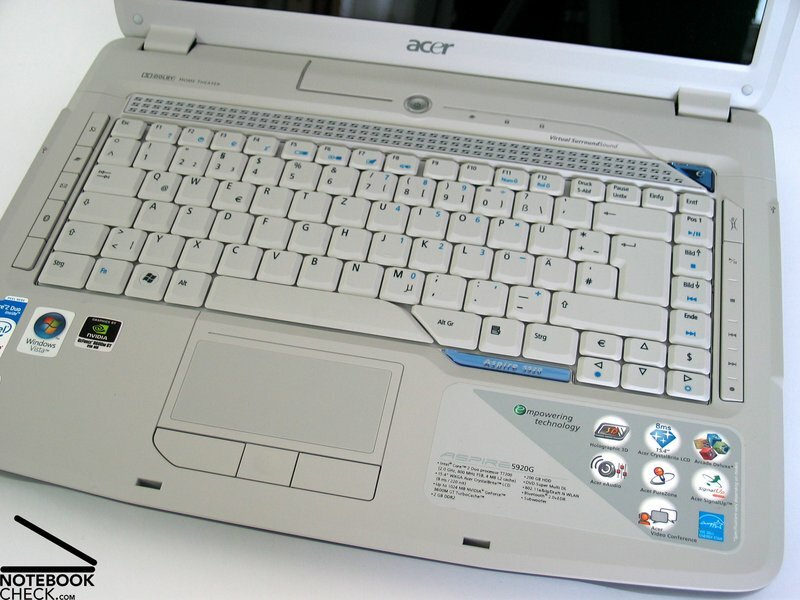 The layout of the Acer Aspire 5920G's keyboard as well as the keys' sizes are alright. Also typing feels good. 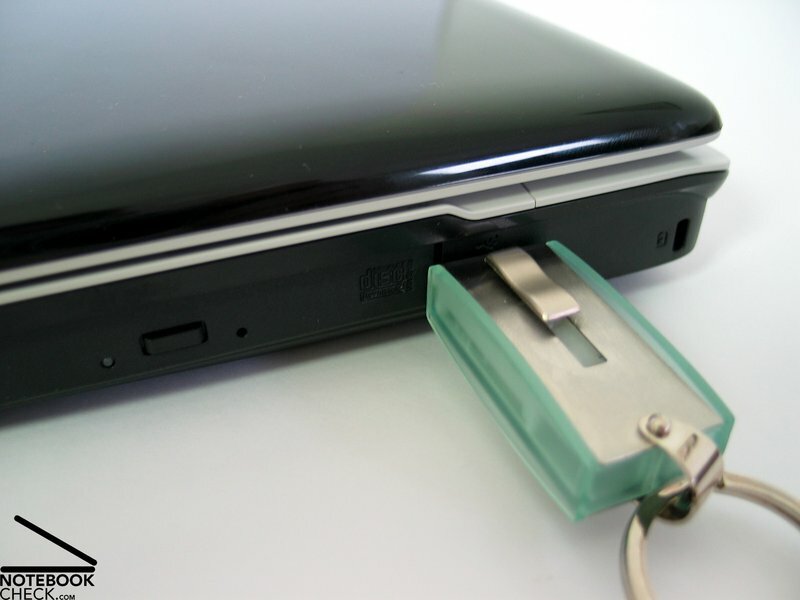 The keys can be softly pushed and face a easily recognizable point of pressure. 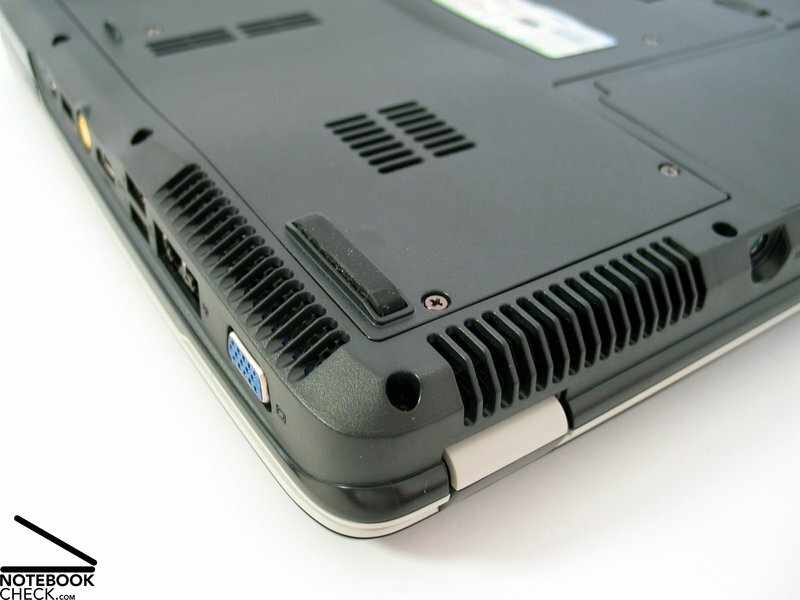 The keyboard unit is tightly attached to the case, so, contributing to the high-quality impression. 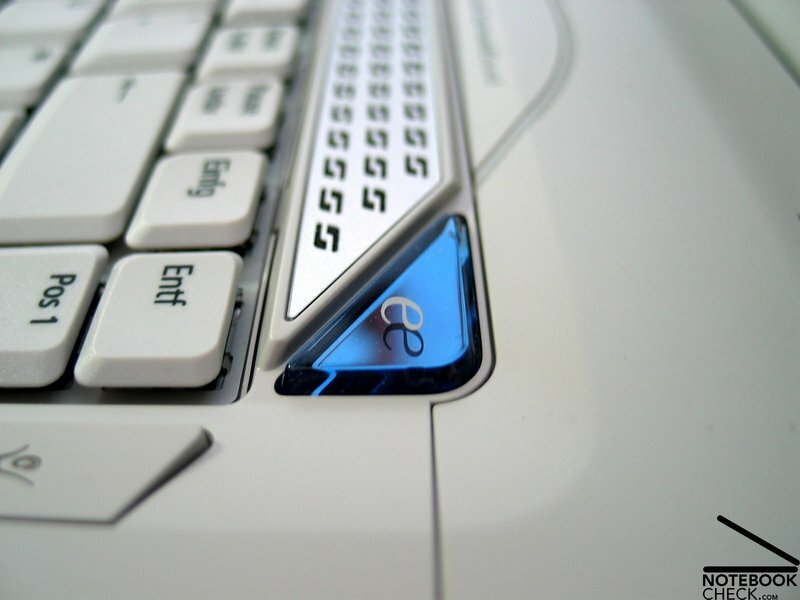 The space bar's right edge is beveled and quasi passes into the AltGR key. This is only a matter of look which does not have any impact on usability. Right above the keyboard there is a beautiful blue button with imprinted "e" which can be used to invoke the "Empowering people toolbar". This is a Softwaretool, which can be used to configure the notebook in a user-friendly way - just like already known by Lenovo's ThinkVantage button. Left and right besides the keyboard are moldings with hotkeys. At the left side you can activated WLan and Bluetooth or start the web browser, or the e-mail client. The hotkeys at the right side control the Mediaplayer. 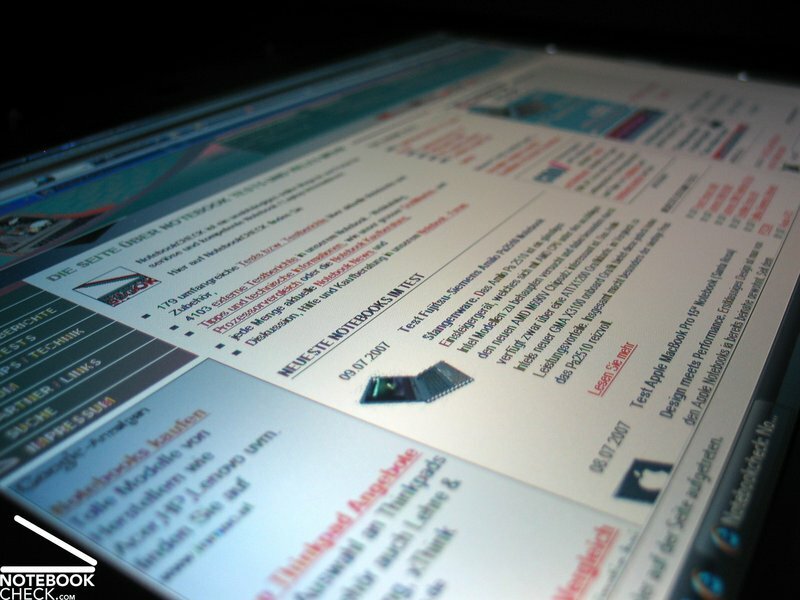 The surface of the touchpad is spacious. Its gliding properties are good. Regarding response and precisions there is also nothing left to criticize. The most important point of critique are the according buttons, which can be pushed by applying comfortable force, but are rather loud. Also the operability of the scroll key in the middle could be better. All considered parameters have good measurement values. The maximum brightness amounted to very good 178.4 cd/m² at the bottom part of the panel. The illumination of also good 81.1% could also convince. The average brightness of 160.5 cd/m² is also good. 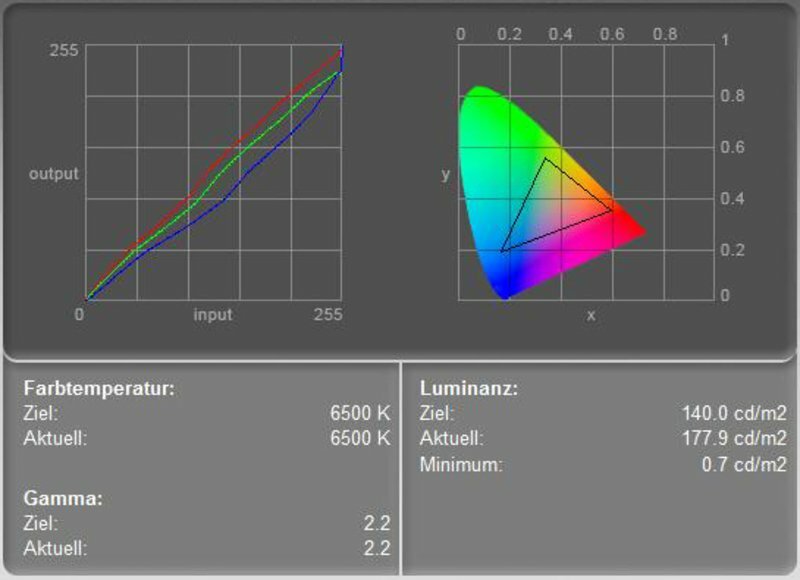 The measured black value of 0.7 cd/m² is a little high, so, leading to an acceptable contrast ratio of 255:1. The scroll test proved that the speed of reaction is also alright. Working outdoors is not comfortable at all, because of the reflecting surface. Depending on the brightness of the environment and the angle of incidence, medium to heavy reflections occur. The WXGA panel is average regarding stability to the vantage point. Although the display has vertically and horizontally sufficient areas of operation, there are partly big changes outside them. Horizontally, you'll face a loss of contrast and reflections at acute angles. 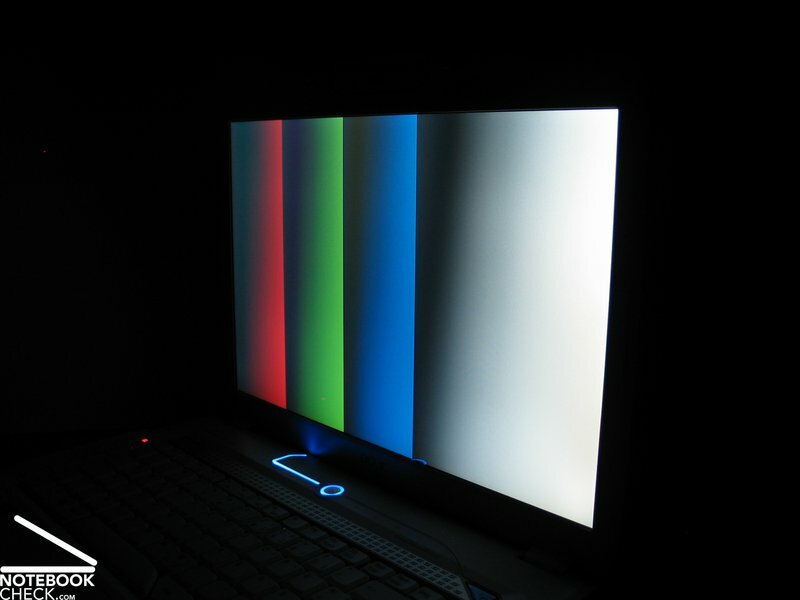 Vertically, the display darkens, when looking from bottom up and heavily whitens, to an extend that it is hardly legible, when looking from top down. 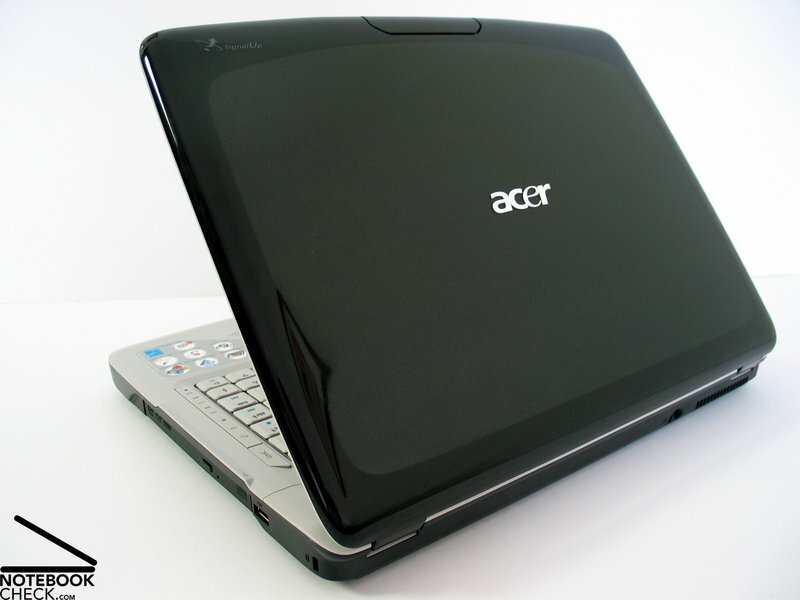 The Acer Aspire 5920G is equipped with an Intel Core 2 Duo T7300 CPU which is powerful with a clock rate of 2.0 GHz. 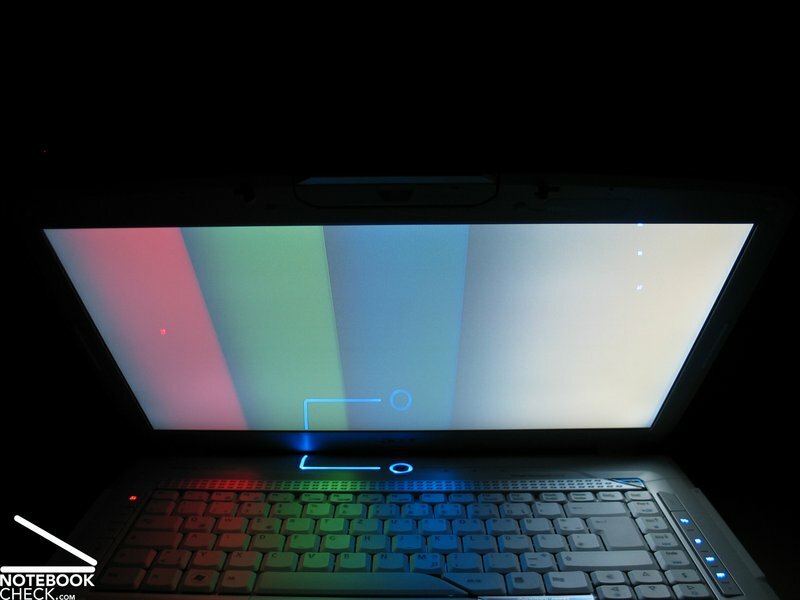 But, the highlight of this notebook is indeed the NVidia Geforce 8600M GT video card. 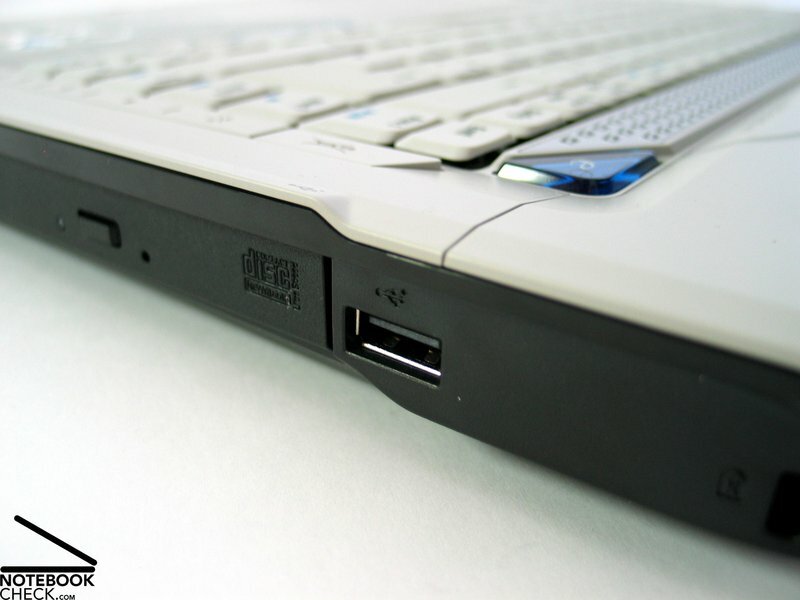 It sometimes makes notebooks with this equipment popular, because its power is sufficient for playing up-to-date games. 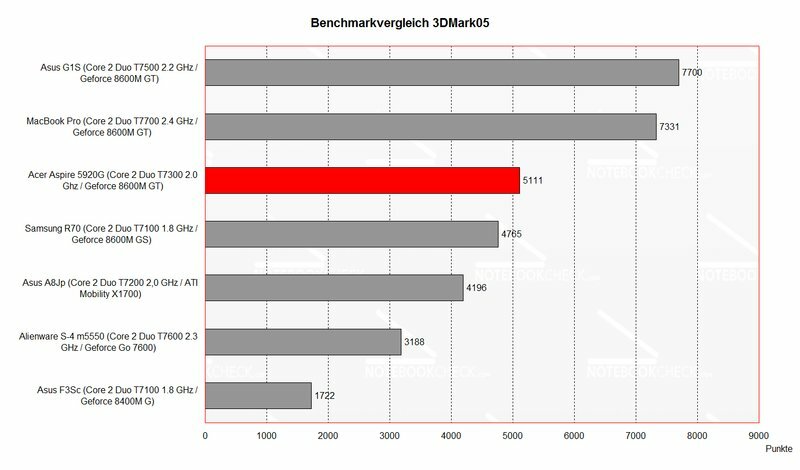 Although it scored high in benchmark tests as well as in application test, it is still clearly outperformed by comparable competitor notebooks like, e.g., Asus G1S or MacBook Pro. Also at the FEAR performance test the Aspire 5920G reached at medium and maximum configuration only below-average values. The same is true for the application benchmark Futuremark PCMark 2005. This is on the one hand a result of the built-in 200GB hard disk with 4200 revs/min which is clearly rather slow. There can even be an impact on games, e.g, longer load time, and maybe trouble dynamically reloading game levels. 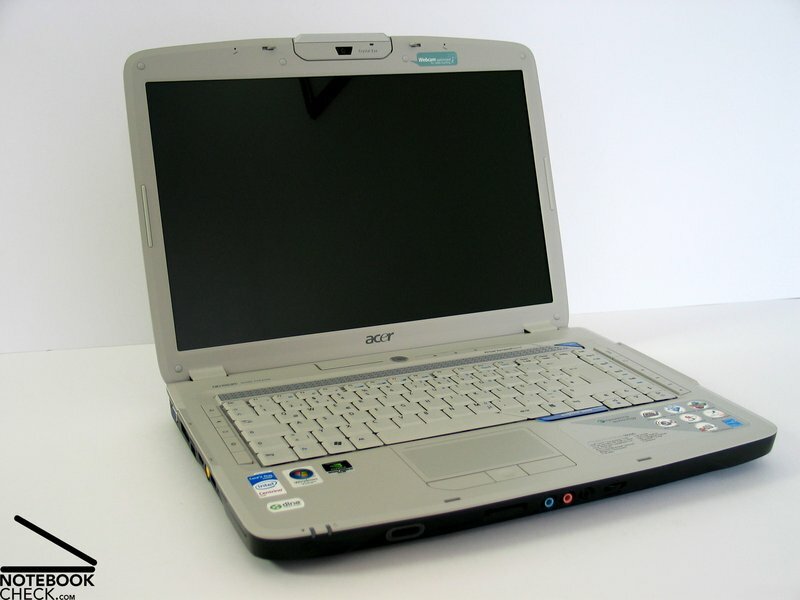 Also the built-in GDDR2 video memory, which is less powerful than GDDR3, can help explaining the low performance of the Acer Aspire 5920G. 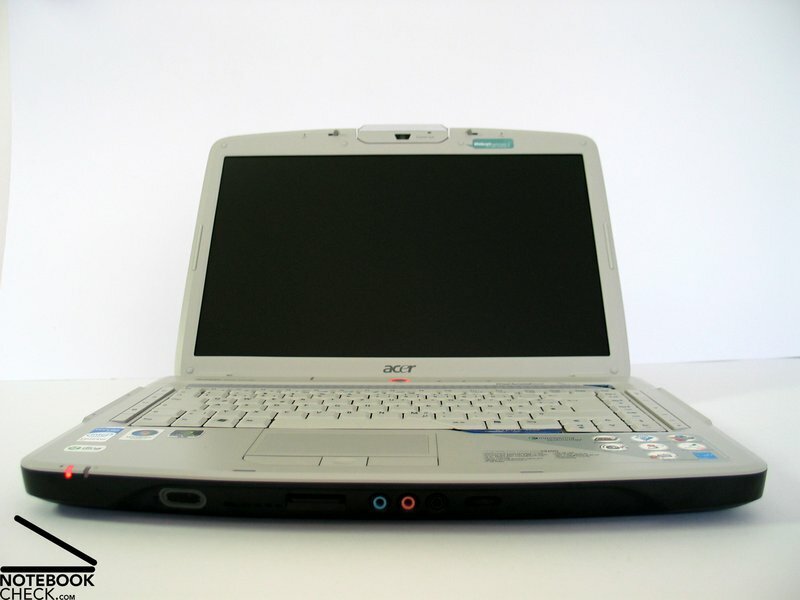 In total the Acer Aspire 5920G's game and application performance can still be called good. The notebook should be sufficiently equipped for current games - maybe with some limitations - and applications. Further information about the video card can be found here or in our comparison of mobile video cards. 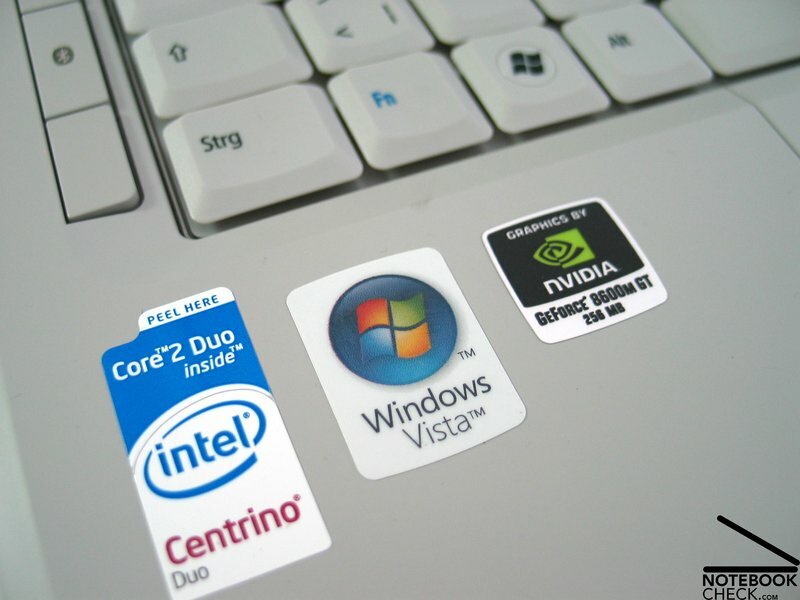 Detailed information about the Core 2 Duo CPU can be found here. 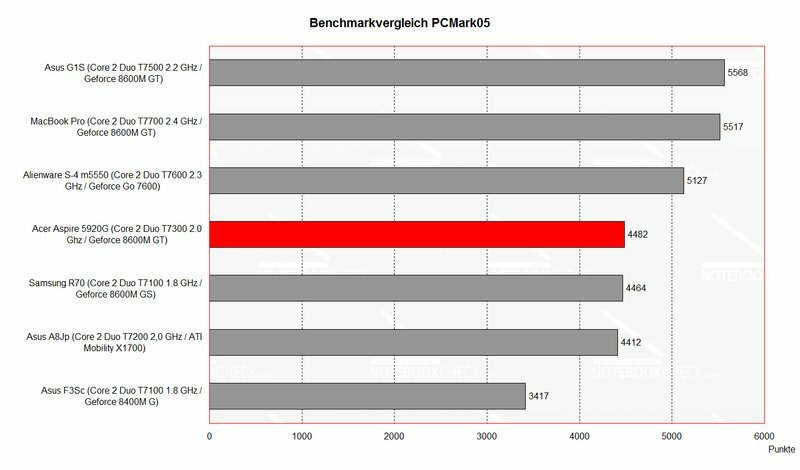 Please also look at our benchmark list of mobile processors or at our benchmark list of mobile video cards, in order to compare this notebook to other configurations. 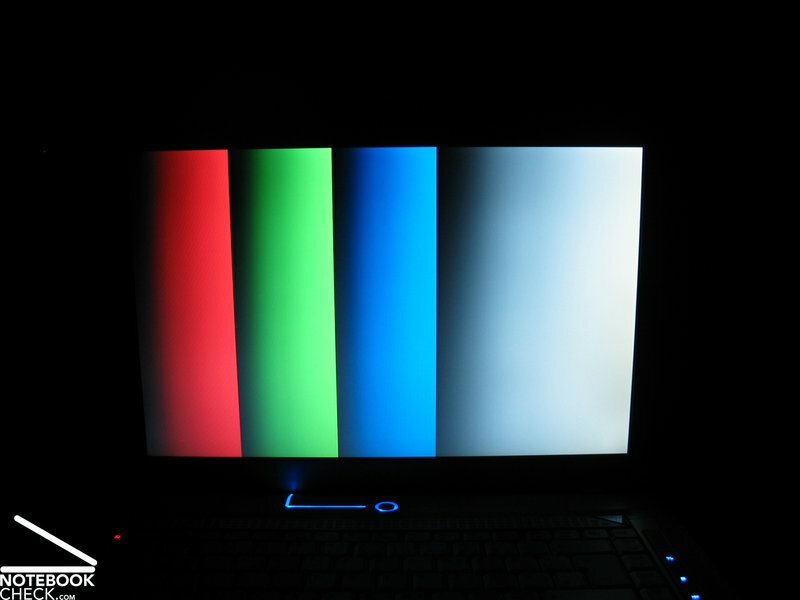 In idle mode (without load) the noise level of the 5920G is acceptable. 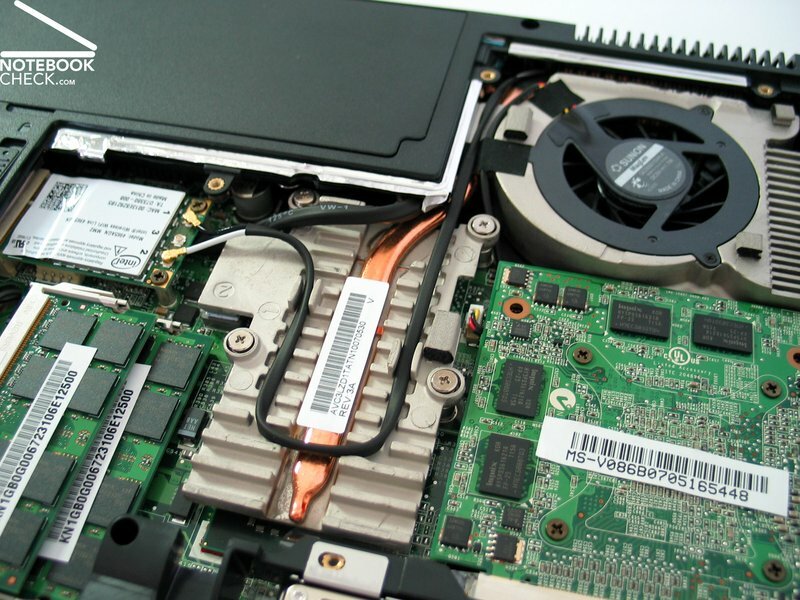 Though the the noise level is within reasonable limits, the fan might annoy, because it repeatedly starts running and stops again. Under load the fan runs all the time, but its noise can well be tolerated, especially during playing games. 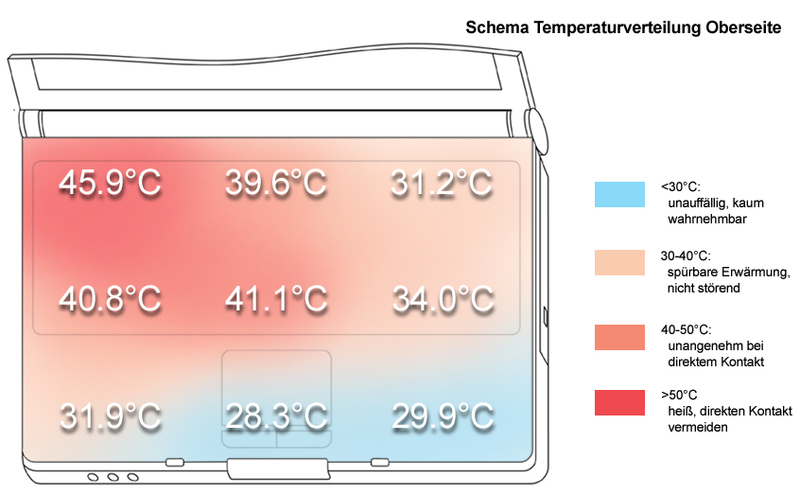 The main point of critique at the Acer Aspire 5920G is its surface temperature. At the top side the measured maximum was 45.9°C, fortunately near the back, so its not that bad. The absolute maximum was measured at the bottom side and amounted to 50.8°C under load. 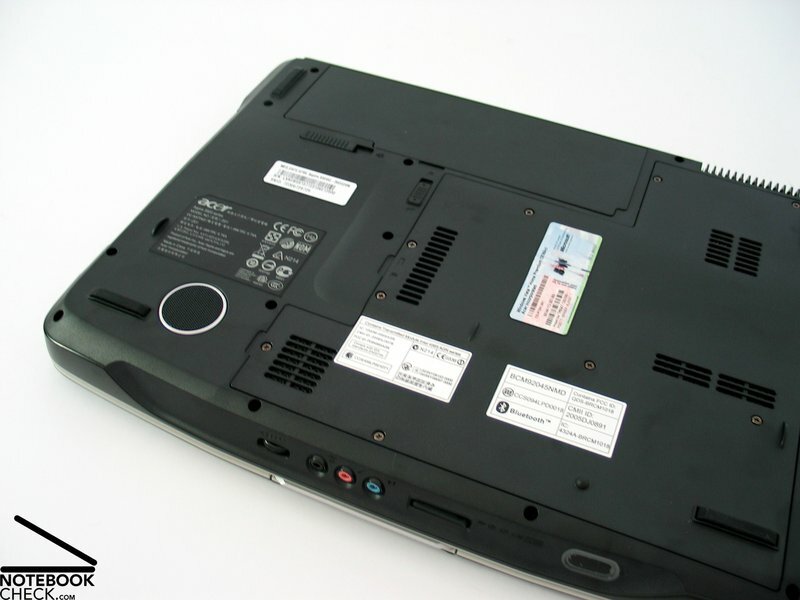 Because a lot of vent holes are located at the bottom side, you should take care, when using the notebook at soft pads. 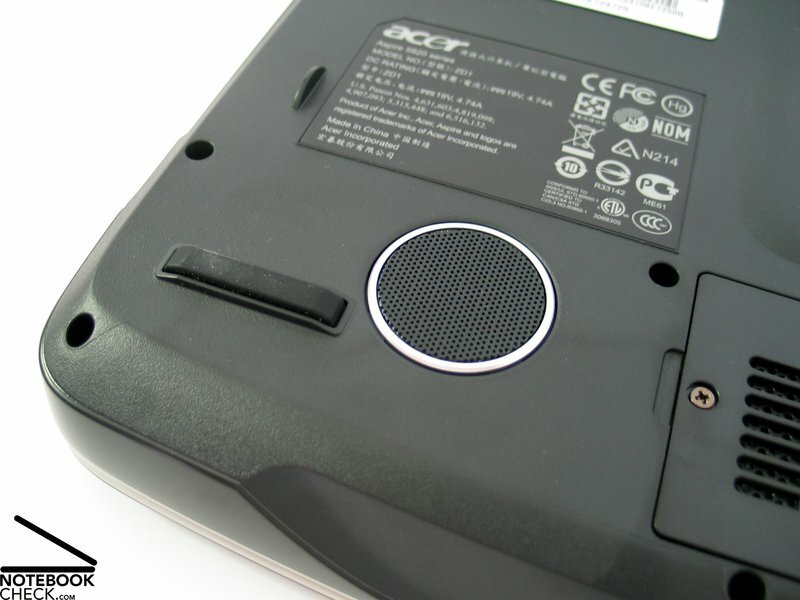 The sound of Aspire 5920G's speakers are audiolicious. The subwoofer located at the bottom side, contributes to the sonority. It is possible to choose between different phonetic characteristics by selecting predefined sound profiles with a pre-installed Acer tool. 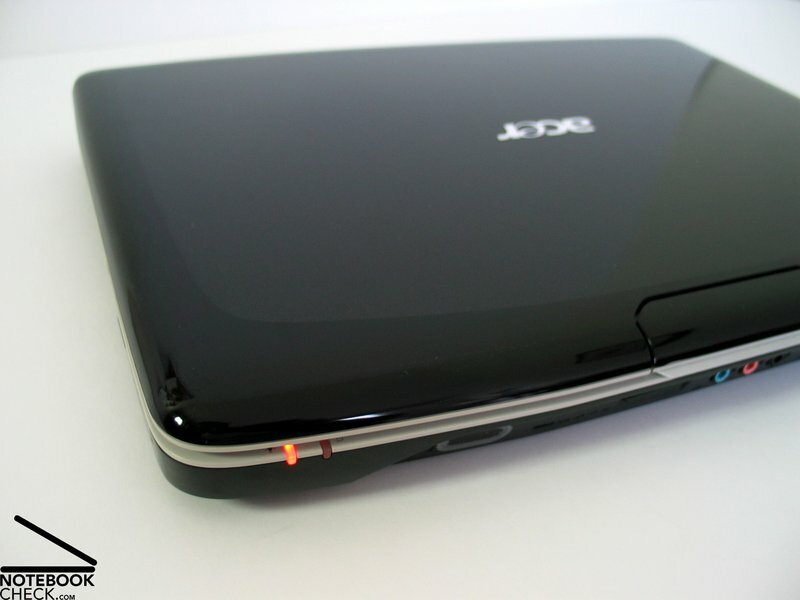 The Acer Aspire 5920G is equipped with a 4800mAh battery. Surprisingly, its runtime is good. The measured runtime ranges from 160 minutes under load to more than 4 hours with optimized energy settings. So, the 5920G is rather mobile and useful. 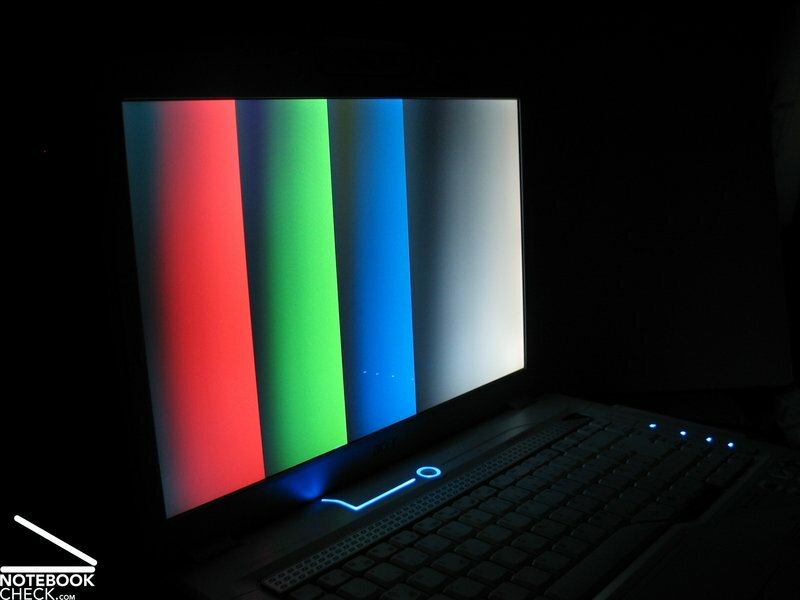 During a rail travel lasting several hours, it is, e.g., possible to play one or the other game, or watch a DVD without problems. 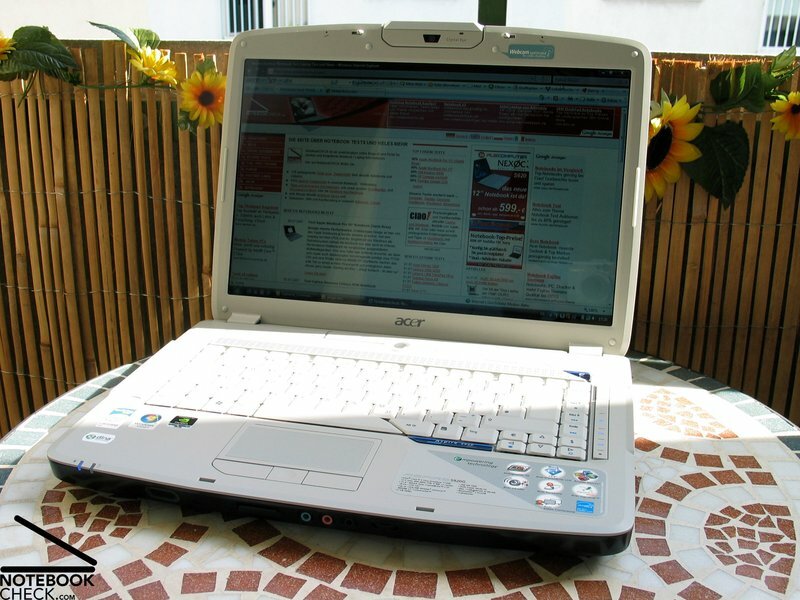 After a period of time notebookCHECK did not review Acer notebooks, the Acer Aspire 5920G made a good start. Especially the new case and design scored high. Partly the case is maybe too fancy, and also the order of the ports could still be improved, but, overall the case is alright. 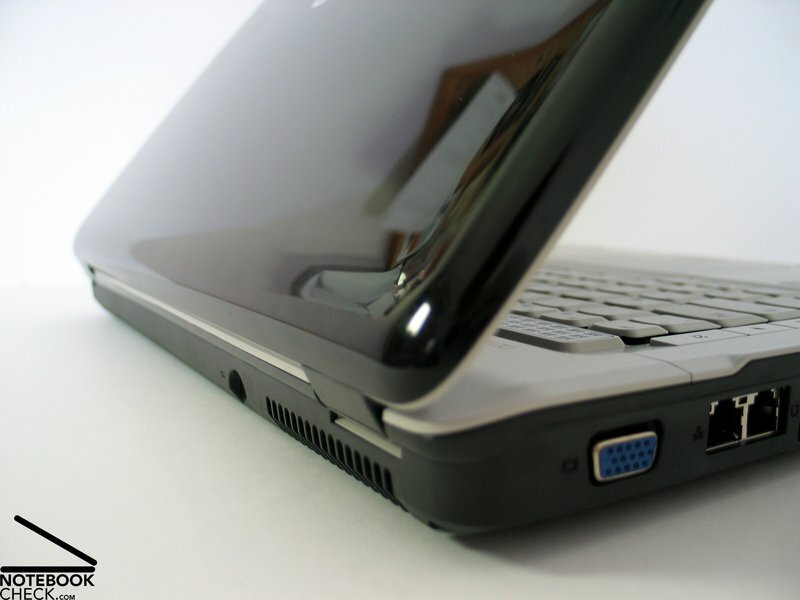 The 5920G's keyboard can also hardly be criticized. 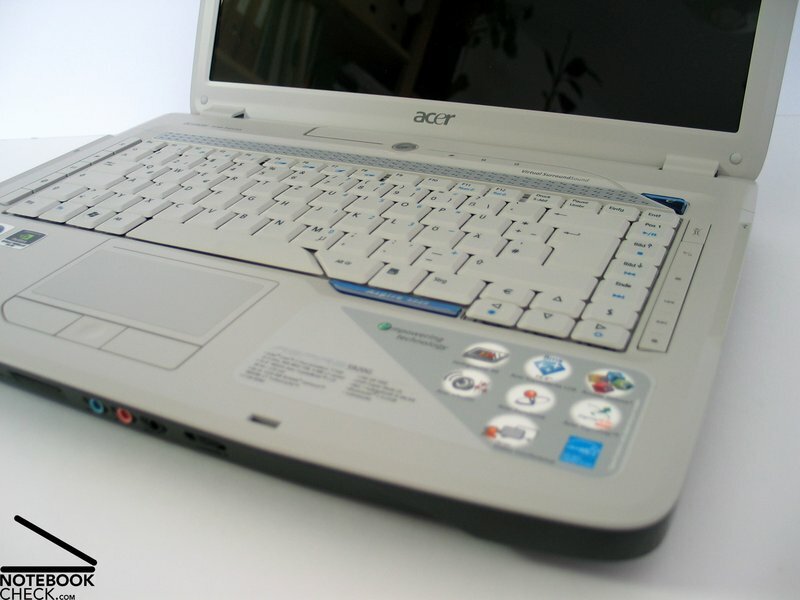 It is tightly attached to the case and typing is user-friendly due to big and clearly laid out keys. 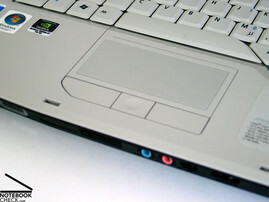 However, the touchpad's buttons are not so user-friendly, because they click rather loud. The measured parameters of the display are alright. However, the reflecting surface is a point of critique, but, comparable alternatives are hardly available in this notebook class. Furthermore, the stability to the vantage point could also be better. 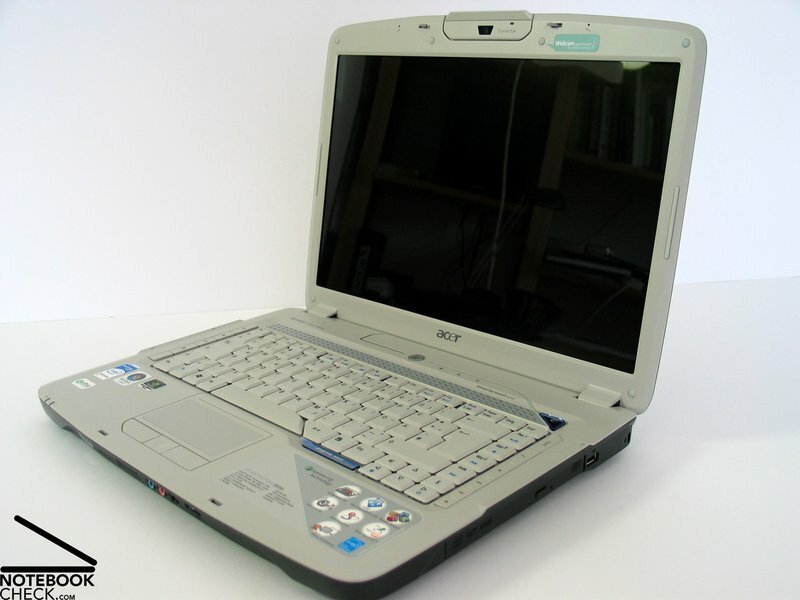 The Acer Aspire 5920G's equipment sounds very promising: Core 2 Duo T7300 CPU, Nvidia Geforce 8600M GT video card, 2GB main memory, and 200GB hard disk. 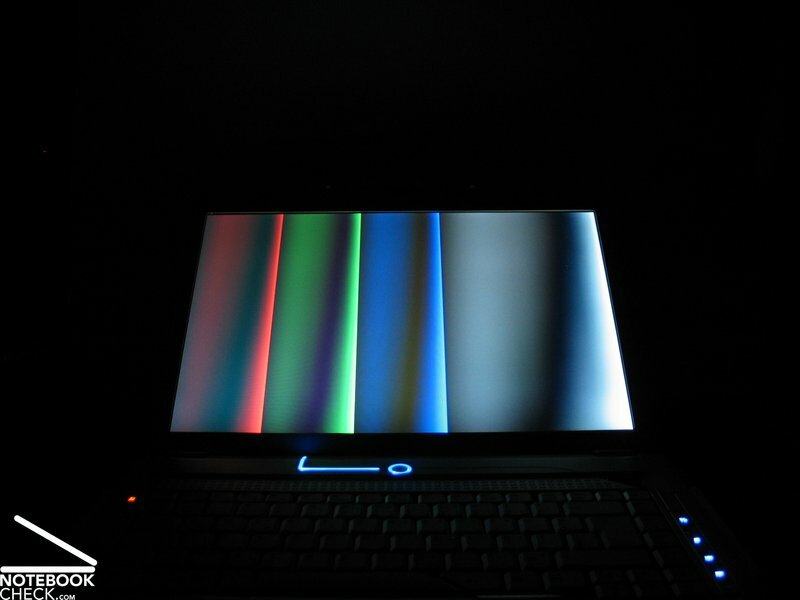 Overall, the performance is good, although directly compared to competitor notebooks it did not fully meet our expectations, because of a slower hard disk and slower main memory. The rating of the notebook's emissions differ depending on the considered aspect. The generally low noise in idle mode is unfortunately repeatedly interrupted by the fan starting running. The surface temperature partly exceeds 50°C, which is enormous. However,the sound of the integrated speakers is very good. Last but not least also the battery runtime is very good. The runtime ranges from 2.5 hours to a maximum of more than 4 hours and, so, allows a reasonable mobile use. Many thanks to the company 7rabbits.at, which kindly provided us with the reviewed notebook. 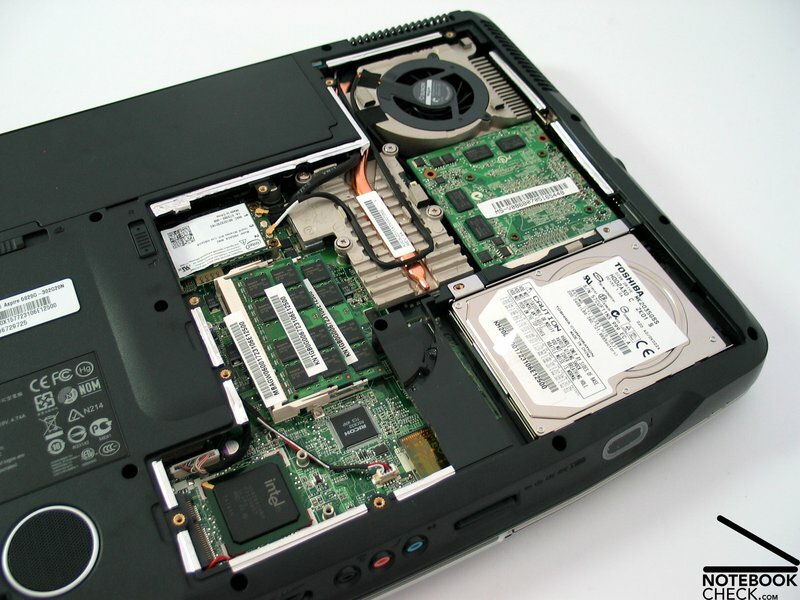 Here you can configure and also buy this notebook. In the dark the number of lights really strike. The measured parameters of the display are alright, however, it clearly reflects. ...and a NVidia Geforce 8600M GT video card. So, it is even fit for up-to-date games. The fan is somewhat unsteady and repeatedly restarts in idle mode. 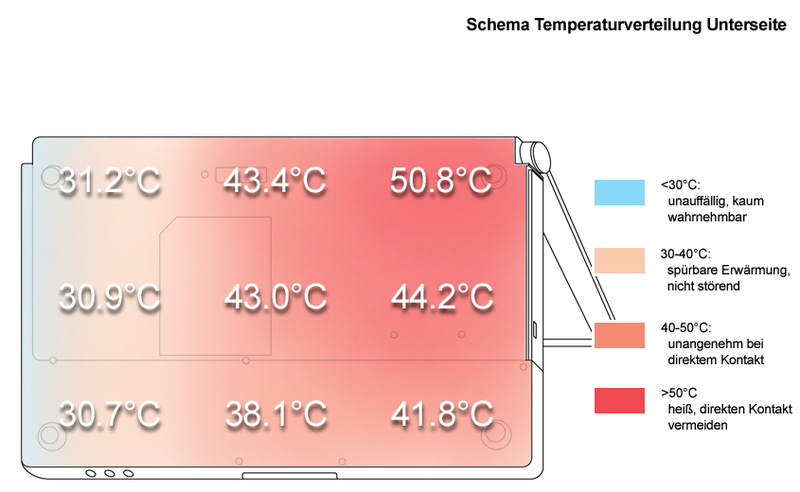 Attention, hot: The temperature of the bottom side exceeds 50°C. 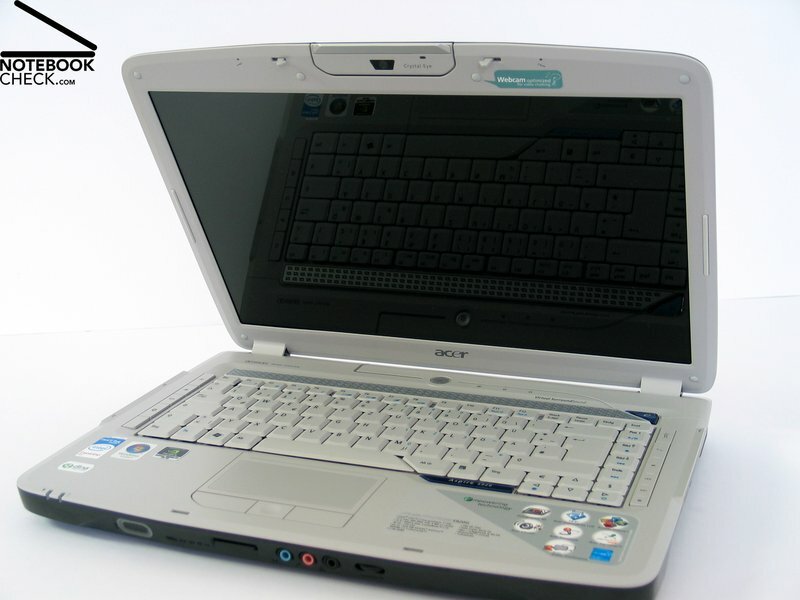 Thanks to a built-in subwoofer the sound of Aspire 5920G's speakers is passable. A homage to ThinkVantage: "Empowering people" button invokes a tool bar. 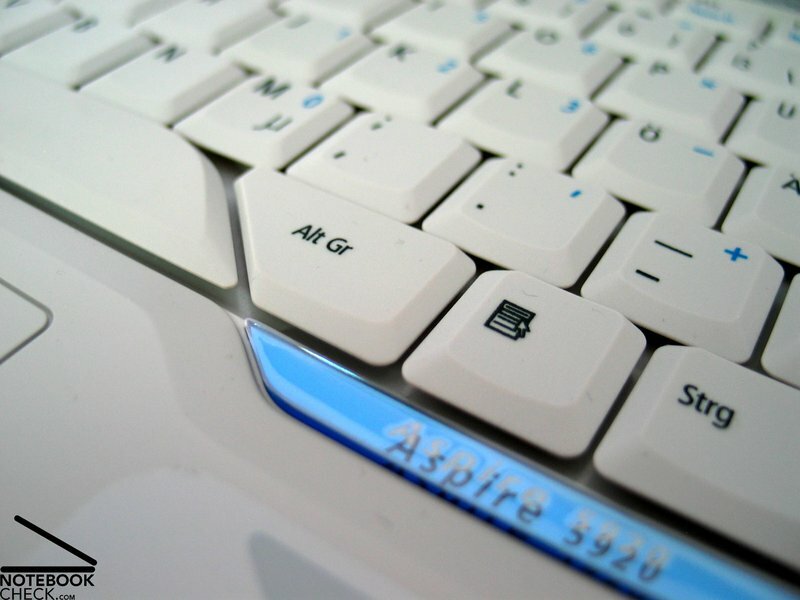 The keyboard is comfortable in use, but it is partly rather uniquely designed. The integrated web cam is also the transport hook. ...and the bright gray inside make it look elegant. ...the complete case was newly designed and now convinces by stability and robustness. 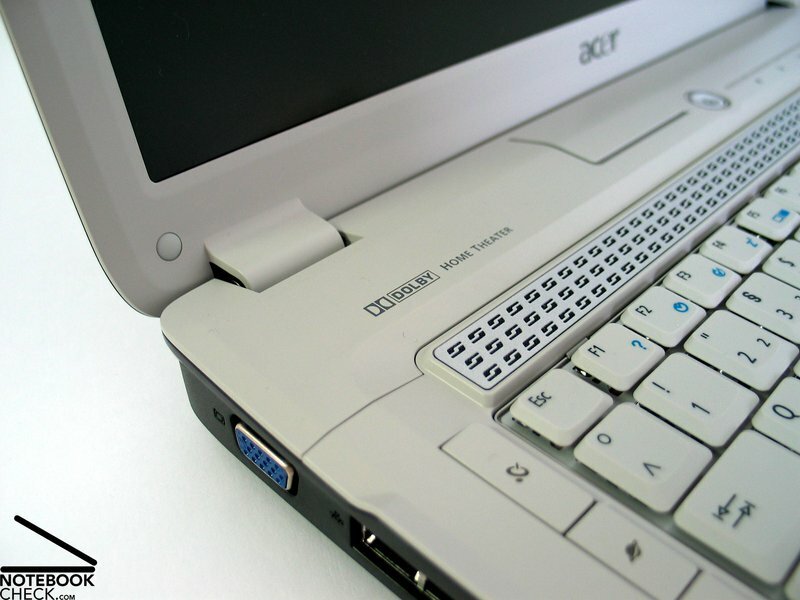 Styled everywhere: The Aspire 5920G's power switch. 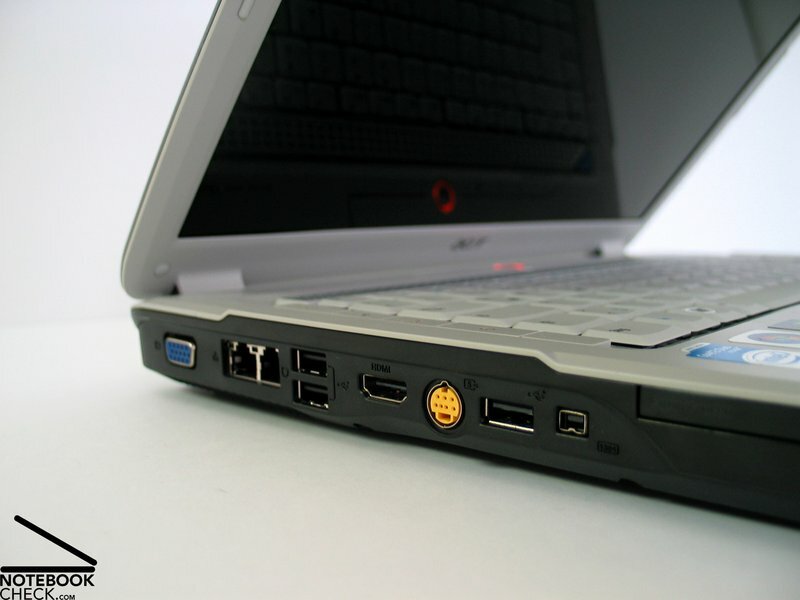 The 5920G is thoroughly equipped with interfaces and provides among others 4 USB ports and even a HDMI out. 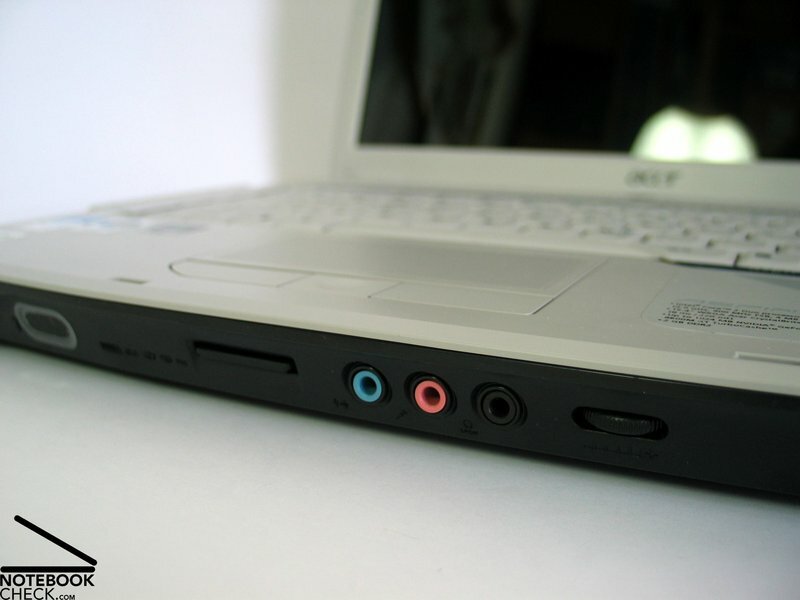 The audio ports are located at the front, which is not very user-friendly. 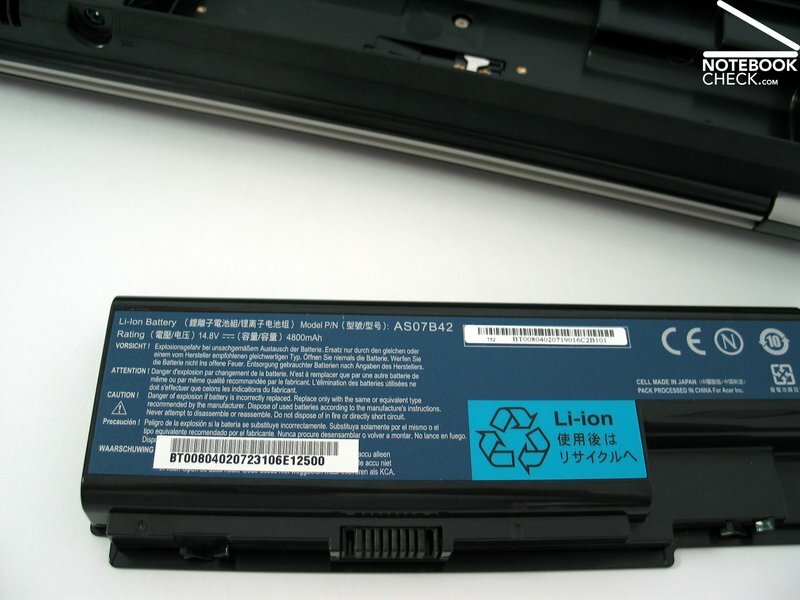 The battery runtime is also good and ranges from 2.5 to 4 hours.